Announcement seemingly due by end of 2017. Ryokutya2089, who is usually the first to leak the contents of new issues of Weekly Famitsu and Dengeki PlayStation, is reporting that he has heard Atlus is working on a followup to a popular title from the PlayStation 3 era. According to Ryokutya2089, the title he heard does not have a number, which led him to believe it may be a “full” version or “all-included remaster,” but noted that said title does not have downloadable content. The title was apparently rumored several months ago, and will seemingly be announced by the end of 2017. If it is true, that is. Earlier this year, Atlus hosted a “Golden Employment Special” for its 2016-established Studio Zero. 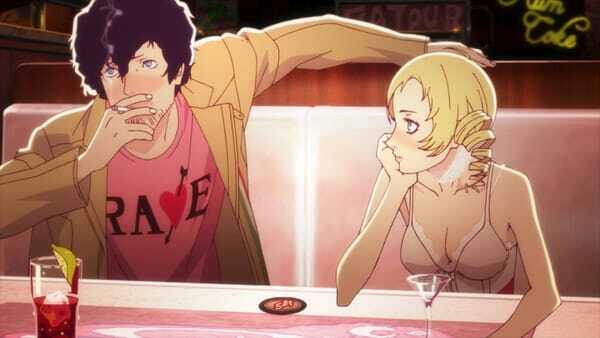 The end of that broadcast seemingly teased something Catherine-related to come from the studio. A couple of weeks later, Atlus confirmed that Studio Zero is working on a second project that will be revealed before its main project, the fantasy RPG Project Re Fantasy. That being said, it is very possible the title Ryokutya2089 is talking about is a Catherine remaster or followup. Update 12/19/17: Atlus has announced Catherine: Full Body for PlayStation 4 and PS Vita. Read more here.